Suppose you decide one day that you want to enter the world of stand-up comedy and work towards being a professional comedian. Then suppose you decide to apply your craft with the required focus and energy for you to head out on tour. When I mean touring, I sure don’t mean performing in dinky comedy clubs for small-time owners who joke about not paying their comics. 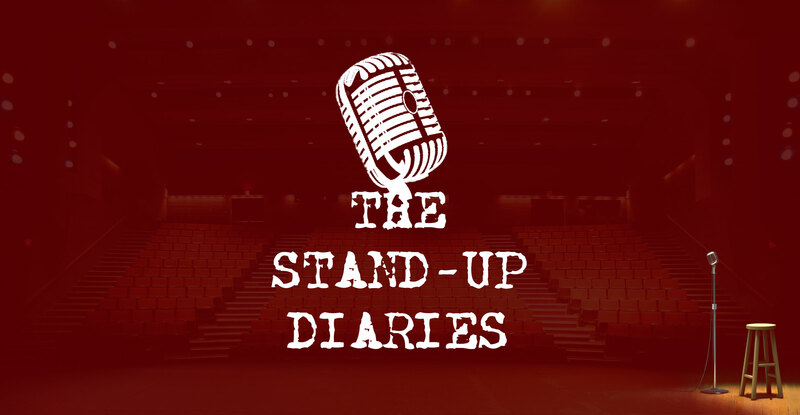 I’m talking about a tour spanning legitimate comedy clubs or stage shows (like TCU Place) in multiple cities spanning several weeks, or a few months. How long should it take? To perform in front of crowds that range from dozens to a few thousand, what amount of time could you expect to work at your craft to have it be “road ready” night after night to get laughs? Would you believe at least one year!!!! That’s right. One year. Now, I am a long ways away from touring, or from being a professional for that matter, but at the same time I am a stand-up comedian, and have been for two years. So when I heard recent interviews from both Eddie Murphy and Bill Burr saying it would take them both a year to be “road ready” to go on tour, I can see it from their point of view. I’m going to tell you the why of taking a year. I am very fortunate to be working with not only a comedy coach, but with a life coach as well. Scott Epp is the owner of Abundance Coaching; Scott is a Saskatoon boy now based out of Australia. His Life Purpose and Abundance Program has a couple key questions that he wants his clients to answer in this program. Does your why line up with your core values? Your why has to be clearly defined. You ask yourself a series of questions to boil your why down to a single sentence. Your why should give you the confidence to move forward towards your goal(s) that you maybe weren’t able to reach before. Then you figure out what your core values are in the four major areas of your life. You whittle away at all these different values (360 in all, 90 per section) to come up with your list of core values. At your core, when all the superficial nonsense is stripped away, who are you at your core? What are you at your core? Your core values may surprise you because in order to get a clear understanding of this, you need to be completely honest with yourself. What does your why and core values have to do with going out on tour performing stand-up comedy for an audience that pays damn good money to watch? I’m glad you asked…..
Basically, if I was to go out on tour and succeed, each of these four core values would need to be demonstrated consistently. Look, if you are going to go on tour and perform, headliners will usually go a minimum of 45 minutes up to almost 2 hours in some instances. You have to remember as well that if you are a headliner at a comedy club, you go on last because you are expected to get the most laughs of any of the performing comics that night. If the comic(s) ahead of you have a tough night you’re expected to win the audience over by the end of the night and have them laughing consistently throughout your set. In order to do this you have to be prepared. There’s no other way to say it. You need to have your comedic “ducks” in a row. You need to know who you are, and play to your strengths. The reason it takes a good year at least to get the material together is that you have to try it out over that year, adding pieces that work, subtracting the ones that don’t while having the ability to change parts of the jokes as needed. Remember, if you can make one audience laugh, you can make them all laugh as long as the laugh triggers are present and you’re structuring the jokes in such a way that guarantees laughs. Yes, that’s right. I said guarantees laughs. It is possible! If you have the conviction to make the material work then it’s easy for you to get up on stage every night to deliver the material as best you can, while being fearless and letting that confidence shine through. Besides, keep one thing in mind. If you are touring it’s because you are earning a living from the ticket sales. In today’s world of social media bad news can spread just as quickly as good news. If you have a bad night or two on tour, it not only could affect your reputation, it also could affect the ticket sales for the tour, not to mention having people in your camp pissed at you. It takes a tremendous amount of discipline to be able to see the creative process through from start to finish when putting together an act for a touring schedule. The reason why it often takes a year to develop a touring act is because when the comic hits the stage, they need to sound like the material is conversational in a way, like it’s coming just off the top of their heads. That confidence only comes with practice, practice, practice. Repeating the material over and over and over again in different tones, highlighting different words or just using comedic timing to generate the laughs. A comic will need to be fearless to head out on tour, doing it for the pure enjoyment of the moment, having the conviction knowing that their material works after being tested on audiences for months, and being recognized by audiences as being a well rehearsed, professional comedian. These top core values of mine have served me well in comedy thus far, though it was only through Abundance Coaching and its programs that I realized those top values had a direct link to comedy for me. Sometimes you need the right person(s) to come along and feed your “ducks in a row” to help keep them there. To find out more about Abundance Coaching, please visit www.abundancecoaching.com or visit http://lifepurpose.abundancecoaching.com to find out more about the four categories of your core values. You can schedule a free 45 minute coaching session for first time clients, there’s no obligation! As always, feel free to comment on this posting below! Trevor – it’s been awesome to be on this journey with you. Thanks so much for writing about your experience with Core Values – it’s a costly journey at times as we really have to measure up what we choose to do with our time and our life when we consider our core values. As your mentioned we really have no excuse when we know what our core values are. You are definately someone who is getting his Ducks in a row with knowing yourself more – knowing your values, living your values and stepping in fearlessly with conviction and courage and really putting yourself out there. It takes courage to do comedy – and to write new material and test it out and put yourself on the line. You are courageous Trevor. You are right as well with asking yourself if your Why lines up with your Core Values – It must. Bless you mate – keep up the blogging and stepping in.